A few weeks ago, Lily and I were looking through the Boden catalog to pick a few things for winter. She spotted a leopard skirt and began to hyperventilate. Then she twirled. Then she declared her love for it. As she was declaring this new-found love, I checked on-line to see if it was in stock. It was not. The twirl turned to despair and she talked about the leopard skirt that slipped through her fingers for days. In effort to lift Lily out of her fashion depression, I searched ebay and found an almost identical skirt. I surprised her and ordered it. She thinks it was the same one she saw in the Boden catalogue. I am a genius. 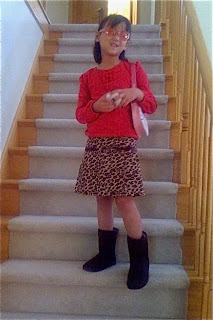 She sported her new leopard skirt and rocked it with some boots when we ran errands the other day. Here's a pic. Forgive the fuzzy pic. It was a camera phone. Don't you love her Hello Kitty purse and her Yoko Ono sunglasses? She dressed herself, can you tell? So here is this week's fashion question. It comes straight from the mouth of my six year old. Question: "Why can't I wear leopard EVERYTHING?" Answer: Leopard is very much a fashion statement right now, but it should be worn sparingly. As in, only ONE PIECE OF LEOPARD AT A TIME. You don't want to do a leopard skirt, leopard shoes, leopard shirt, and leopard purse all at once. Unless you are member of the musical, Cats. I shared this fashion rule with Lily and do you know what her response was? She laughed and said that it was a very silly rule. And then she demanded to know who was in charge of making such rules. I wasn't sure what to tell her and mumbled that I know a little something about fashion because I watch the Bravo TV show, The Rachel Zoe Project. Isn't it adorable? I couldn't wait to surprise Lily and show her. 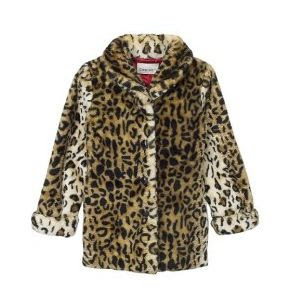 If she loved her leopard skirt, wouldn't she love a leopard coat even more? When I pulled it out of the bag, she stared at it. Then she glanced at me and said, "Uhhhh... I don't like it." "It's too leopardy. Besides, you told me I should not wear too much leopard." I wish the above statement were true, but it's not. It sounds divine doesn't it? "A whole lot of nothin' going on." I close my eyes and think of that statement and instantly I'm transported to a beach in Mexico where a cabana boy named Juan is serving me ceviche with homemade tortilla chips, poolside. Let me clarify "poolside." I am IN THE POOL when he hands me my ceviche and chips. Yes- that would be the epitome of a whole lot of nothin' going on. Eating ceviche. In the pool. But NOT HERE. No sir. This household has a whole lot of EVERYTHING going on right now. As you know we're preparing for our move to the big city, but we also thought we'd jack our activities up another level because I kinda like the feeling that my head might explode from everything that is going on around me. Last week, my son Jackson (age 10) accompanied my husband to Ethiopia to check out some of the wells charity:water has built. I didn't mention it last week when they were actually gone because it would have been like I was saying, "HEY INTERNETS! My husband isn't home. Not only is he not home, but he is in another country! Feel free to come on over and terrorize little ol' me!" Actually, I do think I could probably fend for myself. 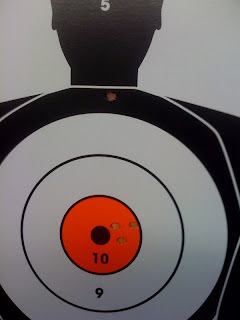 After all, I recently shot my first hand gun and was a pretty good shot. Here is the proof. Do you see that? A shot right in the jugular, and three to the heart. The jugular, people. That's all I'm saying. It just warmed my heart. 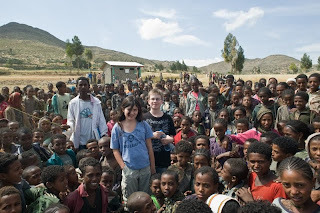 I'm so happy my 10 year old experienced Africa. You can't go to Africa and not be changed. There is something about that place. About the people. Africa changes you. I should know because about 25 years ago I spent a summer there with some college friends. That's me on the right. And yes, my hair was permed. It was the '80s. Enough said. If you were able to zoom in, you'd also see that I was probably in desperate need of an eyebrow wax. Apparently the 80's were for perms and furry eyebrows. I'm happy to say my husband and son are back home, safe and sound. I have loved hearing all their stories. I'm thankful for the opportunity they had, even if it was at a crazy time in our lives. I'm thankful Africa made an impression on them. I hope we are all able to back there together someday. PS. I apologize for the excessive use of CAPS in this post. But I have a whole lot of somethin' going on here! Trying to clean out the pantry since movers are coming in a week. 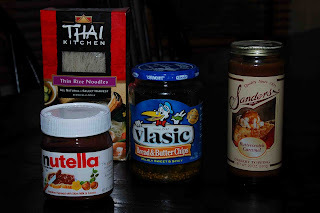 I challenge you to make a meal with this. So I'm getting rid of beds. All my kids will go to twin size beds. Right now one of my kids is sleeping on the floor because we have already sold his bed. Poor child. There is nothing in his room but a mattress. Seriously, no personal effects, no dresser, no bed...just a mattress on the floor. It looks like a Dr Phil intervention for a rebellious teen. I've also realized my baby grand piano will simply not work in a NYC apartment. I did throw around the idea of using it as a kitchen table. I could pull up bar stools to it and the kids could eat their waffles there for breakfast. Maybe I could even play them a song while they ate? Just a thought. But this baby grand piano has been a tough situation. It was my great-grandmother's piano. It was the piano my mom played growing up. It was the piano that I played as a child, too. Many long tortuous hours were spent practicing there. Of course there were lighter times spent there, too. Like the years I thought I could be a song writer. Ahh, the dreams of youth. The problem was my voice sounds like a frog in a bucket and I found out you can't make a demo that will gain any traction with those kind of pipes. So, there is a huge part of me that can't bear to part with this piano. I'm too sentimental with it. Plus I've heard things from my family like "Your grandfather will ROLL OVER IN HIS GRAVE if you get rid of that." I really don't want to disturb my grandfather, so I'm storing it and my sister is going to save her pennies to have it shipped out to her. This week I'm making the final rounds, room by room, drawer by drawer and purging before the movers come next week. Trying to remain calm and plan accordingly, Who knows, I might even face reality and throw away a few pair of jeans. I don't know about you, but this is just what I needed to hear. Since we are moving from a 4800 square foot home in Colorado to probably an 1100 square foot apt in NYC, a few things have to go. Well, actually a lot of things have to go. I have been selling things like crazy- nothing is off limits. In fact, whenever my six year old can't find something, she screams at me, "Did you sell it!!??" She never believes me when I say, "no." She's seen me do it too many times over the past few weeks. In fact, she now understands the concept that you can make money when you sell things. She proved this by discussing the homeless man that often stands at the edge of our interstate exit. She told me, "He should get an apple tree, so he can sell apples. Then he'd have money." I keep her window rolled up, so she can't holler at him. I don't think he'd appreciate her financial advice. But selling things have really made me realize what I hold dear to my heart. Do I really care that I have to get rid of a TV or two? Do I really care that I can't have a pool table or separate dining room in our new apartment? Do I really care that I have to switch my king size bed to a queen size? Not really. None of that matters. What truly matters is family. What truly matters is that me, my husband of 20 years and my 4 children will all be together. Even if 1100 square feet will give a whole new meaning to the word togetherness. Should this really be a fashion statement? 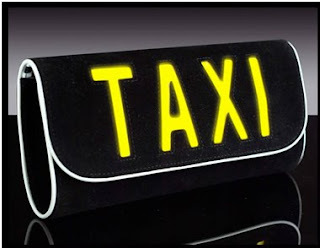 A purse that lights up with the word TAXI? Would this be useful for someone who lives in a big city? By the way, it's $225. Me: We're selling our cars. If you know anyone who wants to buy a Honda Civic or a Honda Pilot, let me know. My mother: WHY are you selling your cars? Me: Because we're moving to NYC, remember? Mother: I know that. I just thought you'd want to keep one car. Me: No one has cars in the city. You take the subway or walk. Mother: Well, I would want a car. Me: It costs around $800/month just to park a car in the city. Mother: And? I would still want to keep a car. Me: That's a tad pricey. I am not keeping a car. Why would you want a car? Mother: In case I wanted to escape. We are leaving Colorado in 15 days. Excuse me, I need to go find a paper bag to breathe into....OK, I'm back now. As you know, there are a lot of steps involved in a move. One of the most important steps is finding a moving company. Let me clarify that. It's easy to find a moving company, but to find the right moving company is a different story. 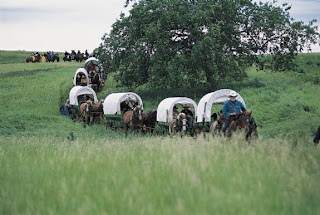 You want one that will actually show up, take care of your precious valuables, deliver your things to the right state, and not charge you 25% of your annual income. I decided to get quotes from 3 major moving companies. I'm a smart shopper. Moving Company A showed up with a fine representative. He was an older gentleman who looked like Santa Clause. I'm sure if my 6 year old had been at home when he came, she would have asked him where he parked his reindeer. I was a little concerned when he showed up though, because he brought along a suitcase. Turns out it was his printer. He probably should have also packed some snacks in that suitcase because he was in my home for TWO HOURS. That's too much one-on-one time for this task oriented introvert. I've got things to do. I like to squeeze in a nap before I pick up my kids from school. Moving Company B showed up without a suitcase, which was a good sign. But he kept trying to sell me with how great his packers are. "I've got the best packers in the state." "My packers are fantastic." "You'll just looooove my packers." I felt like I was living an infomercial and at any moment he was going to try to sell me a Slanket. Moving Company C's representative showed up and was in and out in 15 minutes. Big points scored there. The only thing out of the ordinary was that he had a glass eye. Seriously. Luckily, being from the south, I am schooled in the art of avoidance, and knew which eye to concentrate on. After all was said and done, Moving Company C had the best quote. The representative came back to my home to sign the paperwork. Again, in and out in 15 minutes. (Noticing a 15 minute pattern here. I'm wondering if they can also load the truck in 15 minutes?) As I walked him to the door he shook my hand and thanked me for my business. I felt like we had a bond. I felt like I could trust him with my home. I felt like we were close. I guess he felt like that too, because after he SHOOK MY HAND, he told me his son was infected with the H1N1 virus. Great. I should have gone with Moving Company A. Santa would NEVER knowingly infect his client with the swine flu. Gunner will soon meet the same fate as Bella. But until he does we continue to amuse ourselves with him. And with candy corn. Rod, wearing a ski cap inside the house: "Michelle, don't you think we should turn on the heat?" Me: "No, I can't do that." Me: "Because then I'm committing to winter, and I'm just not ready to do that yet." Lily (age 6) decided to liven up our weekend by producing a mysterious breathing pattern. She started this on Friday, but I didn't pay much attention to it at first. (She's our 4th. ) She kept taking loooonnnng, deeeeeep breaths, almost like she had anxiety. I know this because I do the same thing- the anxiety. I even asked, "Are you stressed?" As soon as the words came out of my mouth I realized how absurd the actual question was. What does a six year old have to be stressed about? Her daily life consists of rainbows, unicorns, and bubble baths. But by Sunday night, the breathing seemed to get more difficult. And Rod was leaving town that night, which means odds are one out of four children will have a crisis while he's gone. I thought I'd nip this one quick and go ahead and take her to Urgent Care. By the way, why do they call it "Urgent Care"? There is really nothing urgent about it. It should be called, "We'll get to you when we darn well feel like it Care. Feel free to sit in our germ-infested waiting room for the entire afternoon." I passed the time by figuring out which people could possibly have the swine flu and rotating seats to maintain a safe perimeter. Lily had almost figured out how to stick a back flip off the waiting room chair, when they finally called her name. I'm sure she would have conquered that feat if her name had been called about 2.2 seconds later. We marched back to the exam room and waited for the doctor. While waiting, Lily was compelled to do a critique of the exam room decor. This color green is too "marshy" looking. I like the curtain, except for the part at the top. That part is really ugly. Why did they do that? She was just about to share her thoughts on the poor selection of reading material when the doctor walked in. He checked her out, listened to her lungs, checked oxygen levels, breathing patterns, etc... and could find NOTHING wrong with her. Basically his diagnosis was drama. As we walked out, I told Lily: "You're fine. There is nothing wrong with you." Lily: "Of course there's nothing wrong with me." I realize I have no real credibility to do a fashion blog entry. But the other night Rod and I were watching the Emmy fashion reviews. (I have a good husband.) And they showed a picture of a lovely actress wearing a gorgeous dress. I boldly declared to Rod: "Her bag is ALL wrong. It's WAY too big." And 3 seconds later the host of the fashion show said THE EXACT SAME THING. I know. I was amazed at my fashion sense, too. So, I took that as a sign that I was ready to answer some of your pressing fashion questions. Plus it's my blog and I can do whatever I want on it. Feel free to send your questions here or email them. When is it appropriate to start wearing my holiday sweaters? Do I have to wait until the actual day of the holiday? All right. I'm just going to say it. Sometimes you have to rip the band aid off quickly. Do not EVER wear holiday-themed sweaters. I will pause a minute to let that sink in. Little pumpkins or snowmen do not belong anywhere in your wardrobe at any time. I don't care if you've had it for years and people tell you how much they love it. They don't. They are telling you that so they can laugh at you behind your back. And if your holiday sweater requires batteries, I can't even begin to describe the level of mocking going on. Maybe some of you are teachers and you think you are exempt from this fashion rule. You are not exempt. You are impressing young minds and you should really be held at a higher standard. I can't go on to question #2. I've worked myself into a frenzy over Question #1. You have to give up some things when you move from suburbia to NYC. Your friends, your large capacity washer & dryer, space to breathe. But nothing compares to giving up your dog. When we decided to move I knew that Bella might not make the cut. 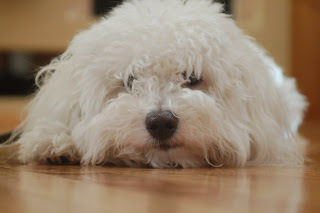 I just could not picture us crammed into a tiny apartment with our little Bichon, Bella- especially if we were in a high rise and blocks away from a park. It just didn't seem practical, doable or even fair to Bella. I began preparing the kids weeks ago that this would be happening. They seemed to take it in stride. Until the week where I announced I had finally found a good home for Bella. Tears flowed. Not just a few splashes that you dab with the corner of a Kleenex. The kind of tears where snot runs down the face and you need a whole roll of toilet paper to contain the drainage. It was tough. And because Rod is already working in NYC, I was the parent at home that took the blame. Thank you, honey. "WHY do we have to get rid of Bella?" "I wish we could keep her!" "She was my FIRST dog!" "I wish GOD wanted us to keep Bella." The day finally came and we parted with our beloved dog. I thought all was calm until I heard Lily singing this song the next morning. I had her reprise it after school so you could share my pain. We love and miss you, Bella.